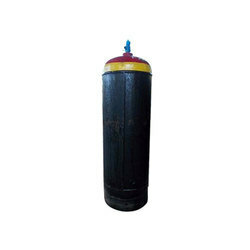 We are the manufacturer of Anhydrous Ammonia Gas. It is used as the component in calibration gas mixture for gas detection systems as well as environmental emission monitoring. It is widely used in the semiconductor industry. It is used in the production of blue and white LEDs. It is also used to produce proteins and can be used to improve the protein content of low-quality hay. It is a reagent in copying machines. It is used in the production of cyanide.